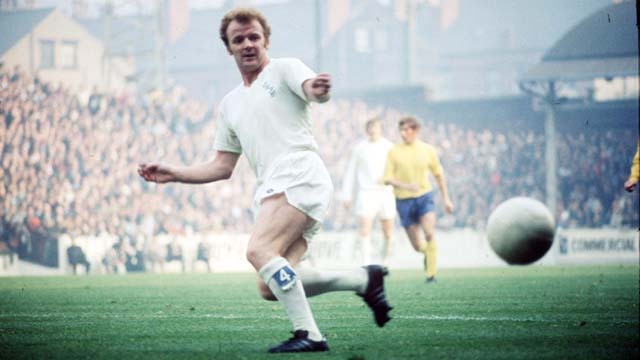 Ross McCormack – the new Billy Bremner? He watched the ball the whole way. Knowing Matt Smith would win it, he ran in between the two defenders. The flick on was unpredictable, landing awkwardly to his right whilst he had his back to goal. Undeterred, he flicked the ball over his and his marker’s shoulder, pirouetting in the same motion, before striking the ball with his weaker foot – the same weaker foot which launched a season filled with hope against Brighton back in August – past the Barnsley goalkeeper and into the goal. The travelling Leeds fans erupted, their talisman looking to have all-but condemned their Yorkshire rivals to relegation. It was his 29th goal of the season, an outrageous feat given that Leeds that day confirmed their safety in the division, and a personal record he’ll never forget in a season which Leeds fans can’t wait to see the back of. McCormack waltzed his way into the Team of the Year and had a strong claim for being selected Player for the Season, as the League’s top scorer and assisting several other goals in his best campaign to date. Yet it’s not just his goals that have seen McCormack accrue demi-God status at Elland Road; it’s his unwavering commitment to the cause, his fierce loyalty and his sense of gravity and keeping his feet on the ground that would leave even Isaac Newton scratching his head. McCormack transcended his role as a footballer to become a statesman at the club – a mouthpiece for the fans, a figure of hope and a beacon of serenity in the mist of uncertainty. Take the events of “Mad Friday” for example, a day that will live in infamy in Beeston. The future of the club was in limbo; another uninspiring transfer window seemed to be rolling along to its conclusion in the background of one of the strangest takeovers in Leeds’ history, and we’ve had a few. Before fans decided to block Massimo Cellino’s taxi from leaving, the catalyst of it all was the botched sacking of Brian McDermott. Although current opinion has now perhaps swung the other way, at the time McDermott was extremely popular. 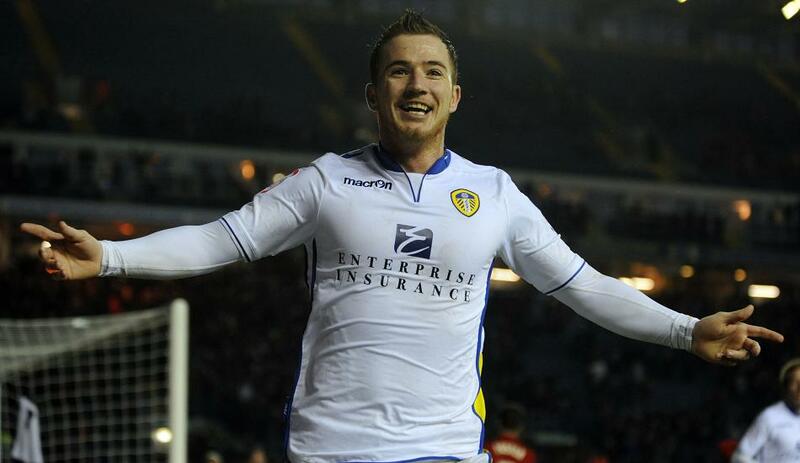 With no real statement from the club, it fell upon Ross McCormack to clarify the situation live on Sky Sports. Speaking candidly and from the heart, McCormack explained his heartbreak at the situation, echoing the thoughts of the fans watching up and down the country and doing so in front the stadium, much in the same manner a President will make an address in the front of the White House. The captain emerging to take matters into his own hands and notify the fans who deserved better epitomises Billy Bremner’s famous “Side Before Self” quote, knowing that his actions would be twisted in such a way by some quarters that it would appear he had ulterior motives, yet knowing he had a duty to give back to those who pay his wages. Any attempt to relate McCormack to Bremner may seem ludicrous, but their talent, never-say-die approach and ability to drag others up by their bootlaces means that it’s not wholly ridiculous to appreciate the fact that they have both been of similarly great importance to Leeds at albeit different stages in our history – and that’s before we take into account their characteristically red hair. Never has one person in the history of the club shouldered so much of the burden on the pitch as McCormack has done this year, with his goals being the difference between mediocrity and meltdown, the only consistent performer in the Leeds side this year. He’s had such an impact in fact that it’s hard to see Leeds remotely compete without him next season. Whilst there is still a lot more to come from their squad given its relatively young nature, replacing 29 league goals is extremely difficult, especially when owner Massimo Cellino looks to be tightening the belt and reducing costs as much as possible. It’s important that he learns from the failures of previous regimes and shapes the side around the McCormack, instead of cashing in like Leeds have done in the past with Jonny Howson, Robert Snodgrass and Fabian Delph to name but a few. He’s likely to have no shortage of suitors, with former club Cardiff and West Ham thought to have been interested in acquiring his services in January. Whilst it’s hard to see him leaving for a club in the same division, one couldn’t begrudge him for wanting to play at the top level – though he’d be wise to heed the example of former top goalscorer and fan favourite Luciano Becchio, sold to Norwich only to find himself languishing on the bench and back in the Championship where he started – out of favour, out of form and out of time. Whilst it’s unlikely that he’ll have a statue built of him, he can have a team and success built around him. Like Bremner, McCormack has the chance to take Leeds United from the second tier to the top should he choose to stay and, more importantly, should Cellino stick to his word about keeping him. Cellino is probably aware of how Leeds fans regard him, with quotes of his about fans, players and stadiums regaling Twitter bios and Facebook pages alike, but it may surprise him how quickly the milk can turn sour if he goes back on his assurances. This entry was posted in Player profiles and tagged billy bremner, elland road, leeds united, Massimo Cellino, Ross McCormack by Kyle Oliver Hulme. Bookmark the permalink.